SPECTACULAR CITY, WATER, MOUNTAIN & ISLAND VIEWS! 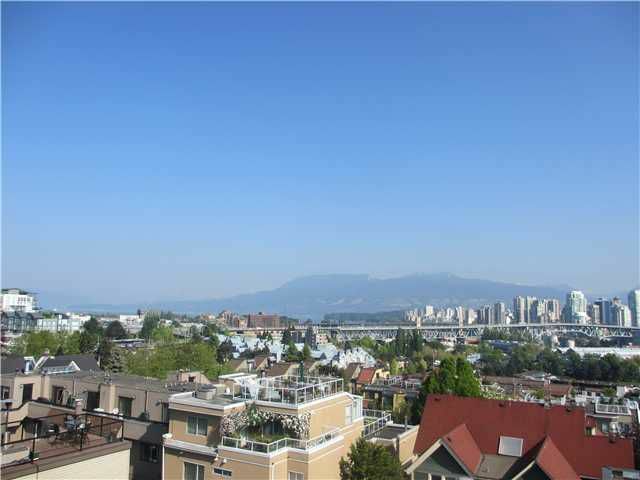 Views span from Burnaby to Bowen Island from this private over 800 sq ft roof top deck with lots of plants. Slate & concrete floors, maple & tile kitchen, lots of windows to enjoy the views. Den was enclosed by previous owner & sf not on strata plan. Total SF excluded Den area. Private front door entrance just like a house. 5 yr washer/dryer and hot water tank. S/S appliances. All measurements are approx.